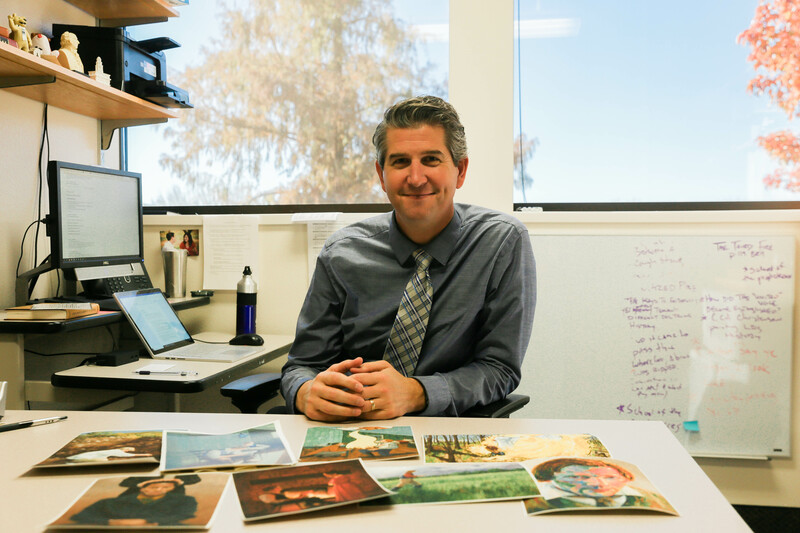 Over 1,000 students enter professor Anthony Sweat’s classroom each semester at BYU. There, they are taught about the Restoration of The Church of Jesus Christ of Latter-day Saints. Sweat uses his artistic talents alongside his teaching abilities to provide visuals for his students of significant events and occurrences in his Foundations of the Restoration and Doctrine and Covenants classes. 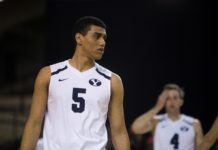 Born and raised on the west side of Salt Lake Valley, Sweat attended the University of Utah where he received a bachelor’s degree in painting and drawing. “I’ve always been creative. I’ve always liked to make things and do things. I’ve always drawn and been very visual,” Sweat said. 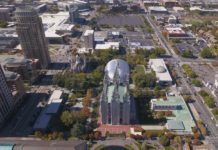 He said some of his earliest memories were sitting in sacrament meeting drawing the people who were speaking, which helped him pay attention and learn the gospel. Sweat continued to paint throughout high school and was named his high school’s Visual Arts Sterling Scholar, an award given to high school seniors who display excellence in scholarship, leadership and citizenship in a specific field of study. When deciding what to study in college, Sweat said he decided to go after his passion for art. While attending the University of Utah, Sweat gave a talk in sacrament meeting. After speaking, he was approached by a man who asked what his career plans were after graduation. The man then asked if Sweat had ever considered teaching in the Church Education System. The man, who was a seminary student administrator, told Sweat he felt impressed to reach out and encourage him to consider the idea. “I just felt like it was the Lord reaching out saying, ‘This is your call in life to teach,’” Sweat said. Upon graduating from the University of Utah, Sweat was offered a full-time position as a seminary and institute teacher, which he did for 13 years. At the same time, he attended Utah State where he first completed a master’s and went on to finish a doctorate in education theory applied to religious education. While attending school, Sweat continued to paint and even began to write books and articles. He pointed out the similarities between the two and said both require the same creative process. “I wrote books that were based on just some things I observed and taught. In writing, I was able to cross not only some of my creative and visual aspects but also my religious education aspects,” Sweat said. Sweat co-authored a book called “Why?“ with BYU associate professor John Hilton III in 2009. 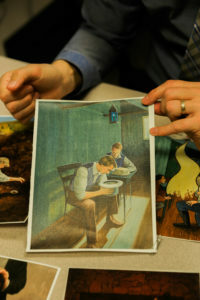 The book gives answers to many questions asked by Latter-day Saint youth. Sweat used his creative side to include many visuals and graphics in the book. Sweat has written more than 10 books on topics like temples, Joseph Smith and Jesus Christ. 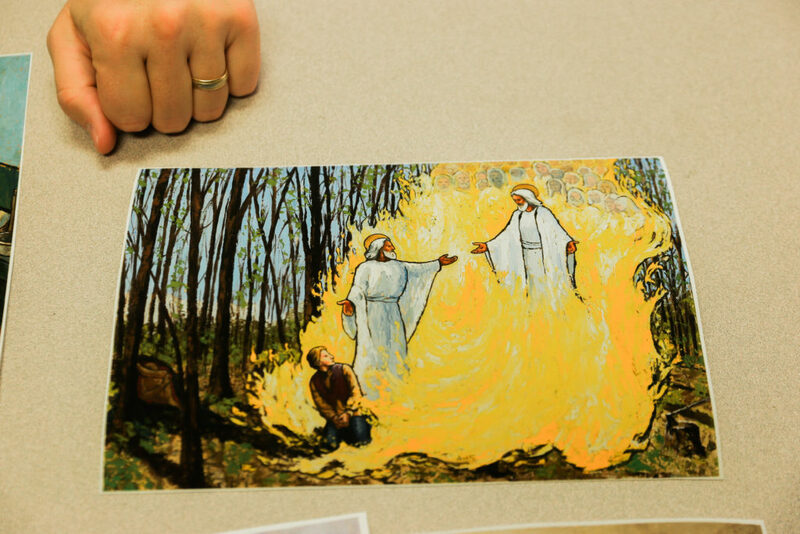 After offering to provide visuals for a colleague’s writing, Sweat said he began to notice the lack of historically accurate visuals regarding Church history and the translation of the Book of Mormon. This inspired him to begin a project where he could combine his roles as religious educator and artist. “There are a lot of unpainted important things in our Church history that have just never been visually depicted, and we learn visually. Just as much as we do by reading things, we learn by seeing things,” Sweat said. The project includes creating 30 paintings of the Restoration that Sweat said he finds important. Some depict scenes like Joseph Smith looking at the seer stone in a hat and others show Joseph and Emma Smith discussing the revelation of plural marriage. 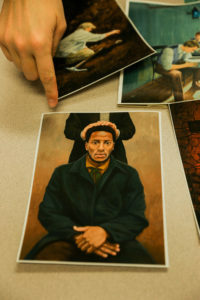 Sweat said he has seen firsthand the difference that incorporating art into his teaching has made for his students and their learning process. The visuals help people learn and become familiar with ideas and topics. Sweat said he hopes to help students gain skills that help them make informed decisions regarding Church history and doctrine.